I’m sat with the Brownlees in a swanky Kensington hotel, two days prior to Alastair’s runaway victory in the London stage of the World Triathlon Series (WTS). He – Olympic gold medalist and one of the greatest triathletes of all time – is flicking through the copy of Men’s Running I’ve just handed out, while Jonny – Olympic bronze medalist and 2012 WTS champion – is chatting about the recent Wings for Life World Run and how astounding some of the winning distances are. For all their achievements, they’re incredibly ‘normal’. It’s supposed to be the interviewer’s job to put the interviewee at ease; not the other way around. But then, a glance from the PR sat across from us reminds me that I do, in fact, have a job to do and that this isn’t just a catch up with a couple of friends. 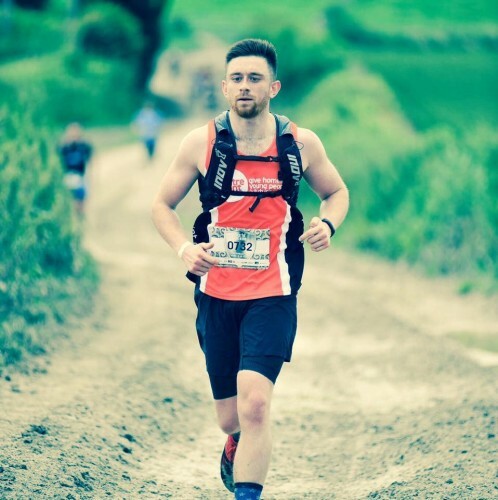 Isaac Williams (IW) – How much of your typical week is taken up with running? Jonny Brownlee (JB) – I think we do about 120K maximum, so it works out at a third of our training hours dedicated to running. Of the three tri disciplines, running is definitely the hardest we train! IW – Why is that? JB – Just because to be a good runner you need to do lots of hard sessions. Our Tuesday night track session and Saturday morning intervals always push us pretty hard. IW – Speaking of track sessions, is there one that you particularly look forward to or, alternatively, one that you dread? JB – I really like pyramid sets, where you do something like one minute at 5K pace, then two minutes, all the way up to five minutes and back down again. One that I struggle the most with is something like five x 1K or the short, quick stuff, especially because we do a lot of our track sessions with athletes who are just runners. IW – You both did a lot of fell running and cross-country when you were younger. What is that you enjoy about these off-road pursuits? Alastair Brownlee (AB) – I started cross-country when I was about six and fell running around the same time. When you’re younger you don’t think about times or racing – you just do it – so for me, I did cross-country at school because I enjoyed getting out there and getting muddy! And fell running’s just nice, isn’t it? The scenery and the people you meet – I’ve met some amazing people fell running over the years – make it a nice thing to do. IW – When it comes to the mental side of the triathlon, how do you ignore the pain by the time you reach the run phase? Because you must be hurting by then. AB – You’ve got to hope that you’re not hurting really! That’s why we do so much training: to make sure that by the time you’ve done the swim and the bike you’re as fresh as possible. I actually like it when I’m feeling a bit tired, because it often means that everyone else is slightly more tired than I am. IW – What do you focus on? Do you use any mind games to keep you going? AB – I just break it down in to sections. A lot of the runs we do are several laps of the same course, so I just focus on getting one lap done as quickly as possible then go from there. IW – And what, would you say, is your central strength as a runner? AB – When I’m running well, I think my efficiency is pretty good – I tend to be able to run fairly quickly without getting too tired. IW – You both have very forefoot running styles – is that something you’ve worked on? JB – It’s just what feels natural. We do a few technique drills, but since we were kids we’ve ran with a forefoot strike. IW – How much work have you had to put it in to improve your running in general? Or have you always been natural runners? JB – We only started doing lots of technique work about five or six years ago. But there’s only so much you can do to alter your technique – we’ve changed little things but nothing major. AB – Neither of us have had to work hard on our technique, but we’ll go through long periods of doing drill sessions almost every week, which obviously helps us to improve, even if we don’t really realise it. IW – Of the three triathlon disciplines, what do you find the hardest? JB – The running, definitely! The gym work, stretching work and drills, as well as obviously the hard run sessions, are all based around running. IW – Who gets most nervous before a race? JB – I definitely still get nervous, but about fairly rational things: so I’ll be worried about getting beaten up in the swim or messing up the transitions. IW – Alastair, I’ve got highly unrealistic ambitions of getting a sub-42mins 10K at some point in my life – what advice would you give to the average-to-poor 10K runner such as myself? AB – This is a pretty boring answer, but consistency is key. A lot of training over a long period of time is essential. But, saying that, I think everyone has it in them to run fast. I’m never going to run as fast as Gebrselassie and you’re probably never going to run as fast as me, but being consistent over a number of years will make you a quicker runner, no question. IW – You’ve had to deal with your fair share of injuries throughout your career – does experience make them any easier to deal with? AB – It definitely gets easier, in the sense that I now look at the bigger picture, rather than getting frustrated at short-term set-backs. IW – Of the two of you, who’s quicker over shorter distances? JB – Over something like the 800m it would be very close – I’d like to think I’d be quicker but I’m sure Alastair would disagree! Over 50m I’d beat Alastair, but sprinting at the start is a lot easier than sprinting at the end of a race. IW – Looking ahead to Rio 2016, do you think the hot climate will make racing a lot tougher and, if so, have you been doing any warm weather training? AB – The main thing we’ve been focusing on are different hydration strategies – when to drink, how much to drink and what to drink etc. Other than that, we’ll make sure we arrive at least ten days before the games begin, so we can get fully acclimatised. IW – Finally, a serious question to end on. Your younger brother, Ed, has spoken publicly about how there’s one sport in which he has the upper hand over the pair of you – table tennis. How do you respond to this claim? JB – Nah! No, definitely not. Alastair is terrible, though. His technique is ‘the wall’, so he just bounces it back and waits for you to make a mistake. AB – You never beat me though do you?! Alastair and Jonny Brownlee are adidas-sponsored athletes who both train in adidas Ultra Boost.